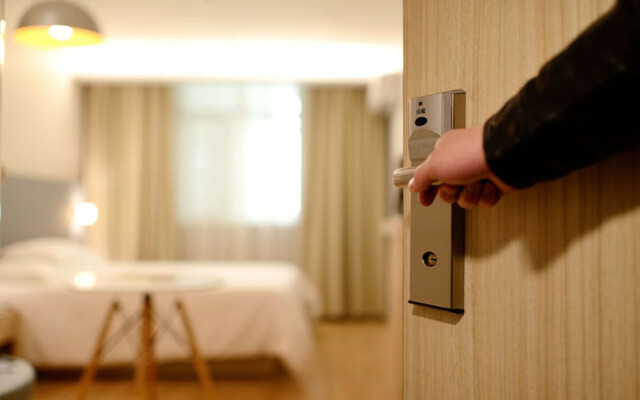 On police orders, hotels in Visakhapatnam (Vizag) are now using a blockchain-based artificial intelligence platform developed by a city-based startup to store and safeguard data about guests. Babu Munagala, co-founder and chief executive officer of Zebi Data India Pvt. Ltd, wrote in a post on Medium that top hotels were using the company's solution, called Zebi AI Chain, to help law enforcement officials in proactive identification and prevention of criminal activities. Munagala said AI Chain was aimed at both privacy and security while automating the transfer of data. "All of the private and sensitive data of individual hotel guests is stored in the blockchain and any access or updates to the data are part of the immutable records on the blockchain. The individual remains in full control of their data as consent of the individual is taken before every use of the data," he said. He said that the Visakhapatnam police had made it mandatory for city hotels to deploy the solution. “We are able to get the visitor details from all the hotels to our police control room in real time," Dr Fakeerappa Kaginelli, deputy commissioner of police, was quoted as saying. "This data will be compared with the police database to ascertain whether the guest has any criminal background”. The product was also endorsed by the front office manager of a five-star hotel. "Previously, the police used to visit us on a regular basis for enquiring about the status of tourists, now it is not necessary.” Nagesh Kumar Venkata, assistant front officer manager at The Park in Visakhapatnam was quoted as saying. Zebi's co-founder said that AI Chain has already been deployed across 200 hotels and he was looking to expand its reach to other regions. Munagala, who previously served as the director of software development at Oracle, is banking on the booming online hotel booking industry to help his company generate revenue. The company was formed by seven Indian Institute of Technology alumni in 2015 and offered data analytics as a service (DaaS). Zebi had in 2016 raised $1 million (Rs 6.8 crore) in funding from a clutch of unnamed San Francisco-based angel investors. This round was concluded at a post-money valuation of $6 million (Rs 40.7 crore), Munagala had told TechCircle. Sudheer Kuppam, the former Asia Pacific chief of Intel Capital who recently founded Epsilon Venture Partners, is also one of the company’s co-founders.